Many of us are not able to avoid losing our vital data because of any unwanted situation or mistake. In order to overcome this problem, we need to make use of a competent data recovery program which will help us to get back the lost data. Gihosoft iPhone Data Recovery happens to be one such useful software that has become immensely popular at present. However, it likewise has its own drawbacks as well. For instance, it requires a considerable amount of data scanning time unlike the other similar applications right now. 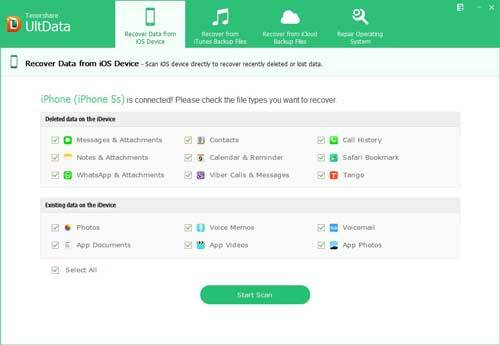 Because of these shortcomings, we have mentioned the top 8 Gihosoft iPhone Data Recovery alternatives out there that will allow you to get the job done conveniently. 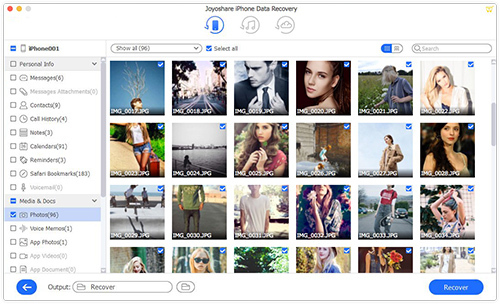 Joyoshare iPhone Data Recovery for Windows (or Joyoshare iPhone Data Recovery for Mac) is one of the most reliable alternatives to Gihosoft iPhone Data Recovery that will allow you to recover in excess of 20 types of lost files including contacts, text messages, voicemail, voice memos, calendars, photos, video clips, call history, Viber, WhatsApp messages, and so forth. Apart from helping you to restore any lost data on your iPhone, Joyoshare iPhone Data Recovery will likewise enable you to get back all missing data from iPad as well as iPod touch within a short span of time. 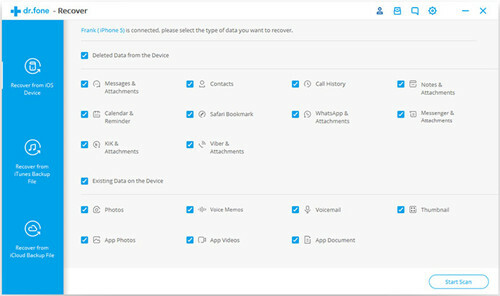 The amazing Wondershare Dr.Fone is amongst the most competent Gihosoft iPhone Data Recovery alternatives which were introduced with the purpose of aiding the Apple users to recover information that was accidentally lost or deleted because of a system crash, iOS update, virus attack, locked device or even forgotten passport. It is likewise quite simple to use this program which can also provide you with useful instructions so as to make the retrieval process very convenient. You simply need to retrieve the information by connecting your device to the computer, scan the gadget, and search for any lost information or file. That's all! The remarkable EaseUS MobiSaver is also one of the most well-known Gihosoft iPhone Data Recovery alternatives right now. This application has the ability to work with different types of OS including Windows, Mac, Android as well as iPhone OS. On top of this, it likewise supports quite a few versions which include High Sierra. Even though the free version will not provide you with all the innovative features, the Pro version is going to come of use in case you'd like to retrieve information from jailbreak, upgrades, and so on. The incredible Aiseesoft Fonelab iPhone Data Recovery application will enable you to recover any lost information from iCloud as well as iTunes backups. Apart from this, it is likewise extremely simple to use thanks to an intuitive interface having properly labeled categories. 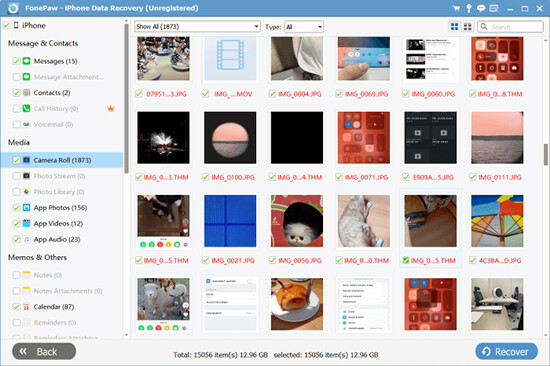 Moreover, you will get the opportunity of recovering notes, contacts, call history, SMS messages, video clips, photos, calendars, and many more summing up to as many as 20 file types. Being a fantastic alternative to Gihosoft iPhone Data Recovery tool, this application has the power to restore in excess of 20 file types on the iPhone because of various data loss scenarios which can be iOS upgrade problem, incorrect deletion, virus attack, damage to the device, and so forth. Moreover, the revolutionary TunesKit iPhone Data Recovery can function much faster while scanning iCloud or iTunes backups as compared to most of the other similar applications out there. Apart from this, it can also boast of a simple design which allows anyone to handle it without any problem whatsoever. In this comprehensive Gihosoft iPhone Data Recovery review, we will talk about the breathtaking FonePaw iPhone Data Recovery next. Being considered as one of the top iPhone data recovery apps on the market, it likewise allows users to recover as many as 15 types of files ranging from videos, photos, SMS messages, and so on. Users are also able to retrieve any lost information with the help of 3 recovery mode facilities including recovery from the iDevice itself, iCloud backup or iTunes backup. Moreover, the interface is quite user-friendly which makes it easy for anyone to navigate it. Apart from this, another significant feature happens to be the incredible 1-click transfer of SMS to your computer. This is yet another superb Gihosoft iPhone Data Recovery alternative that has created a wave on the market. This application is a reliable tool which can help you to retrieve your lost information directly from iTunes backup, iDevice, or iCloud backup. 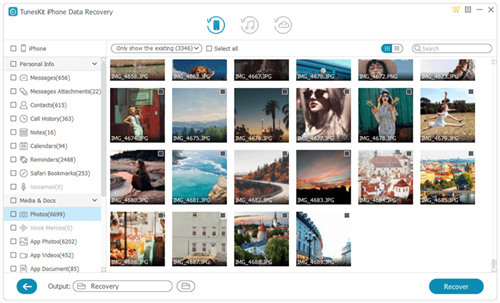 Furthermore, it will support as many as 20 file types that can be restored including contacts, SMS messages, WhatsApp messages, photos, videos, and many more. Tenorshare UltData provides you with an opportunity to restore all the lost information or even some of them selectively. It will work with both Mac as well as Windows computer and is compatible with the most recent iOS 12 beta version as well. It is not possible to launch the application in case iTunes is not installed on the PC. 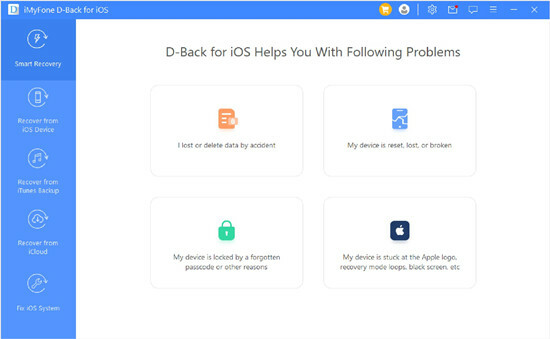 Lastly, in this comprehensive list of alternatives to Gihosoft iPhone Data Recovery apps, we will throw some lights on the remarkable iMyFone D-Back application. 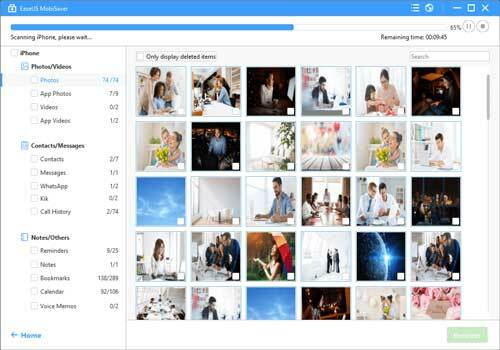 It's most significant benefit is the ability to retrieve any file deleted accidentally from iPad, iPod, or iPhone. It moreover functions in a simple way that will allow you to select precisely what items you would like to get back. 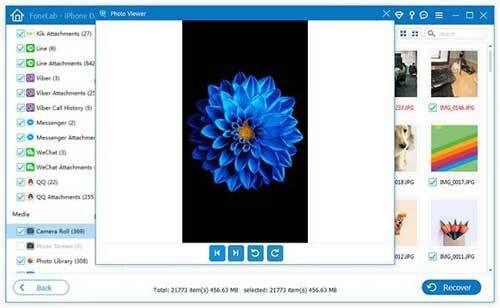 This application is capable of retrieving videos, photos, text messages, notes, calendars, bookmarks, contacts, as well as call history. As per its developers, the future versions of this application are going to support voice messages, voice memos, not to mention Facebook chat. Apart from all these applications mentioned above, you will come across many more Gihosoft iPhone Data Recovery free alternatives that will provide you with total peace of mind. Just make some research and look at the online reviews from the previous users which will give you a fair idea regarding any particular software that might interest you.